The feature film Ainoat oikeat had its premiere on Dec 27th. The film features Sid Hille’s music score. The romantic comedy has received controversial feedback from the critics, but was a clear success with the audience on last week’s opening weekend. On one point, though, critics and audience agreed: Sid’s cool jazz score works and sounds great! With musicians Verneri Pohjola, Pope Puolitaival, Teemu Viinikainen, Sid Hille, Antti Lötjönen and Teppo Mäkynen on board the score is refreshing and retro at the same time, providing the film with a hip background! In January 2014 SatnaMusic releases a CD that contains music from the three feature films Sid has composed music for. All three were directed by Saara Cantell: Ainoat oikeat / The two and only (2013), Stars above / Tähtitaivas talon yllä (2012) and Heartbeats / Kohtaamisia (2010). Sid’s score for Heartbeats / Kohtaamisia was nominated for the Finnish Film prize in 2011. 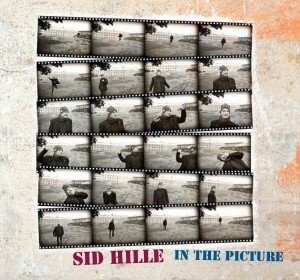 Sid Hille – In the picture (SatnaMusic CD 132) will not be available commercially. By way of business card the CD will be added as a gift to any order of two (or more) other SatnaMusic releases. This entry was posted in Updates by Sid. Bookmark the permalink.